It’s Popsicle Week! Arguably the best week of the year, when a bunch of bloggers get together to share our love for popsicles. But why just a week? 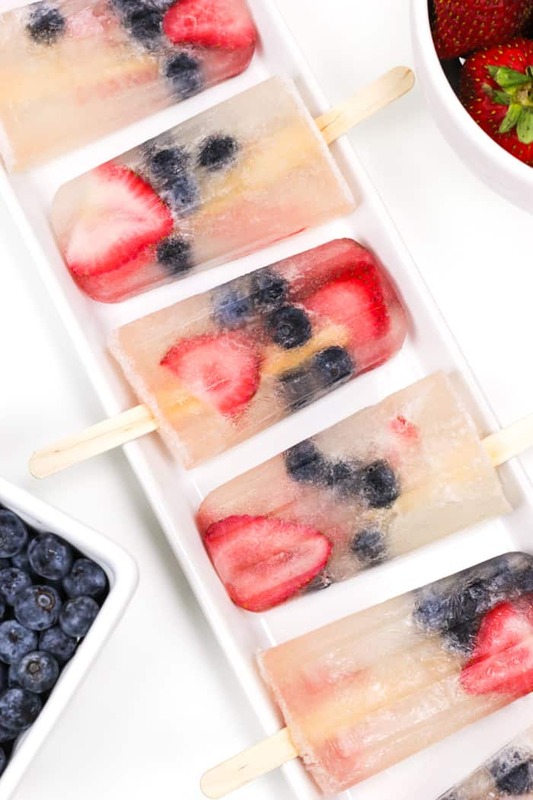 I always try to make popsicles all summer long. Our house gets ridiculously hot by, like, 3 p.m. or earlier. And when you work from home, it’s VERY noticeable. Popsicles always come to my rescue. To beat the heat, I’m planning to make more of my favorite popsicles this summer. 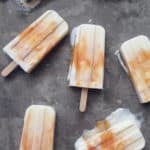 These boozy Irish Coffee Popsicles are amazing, as are these Peaches & Cream Popsicles. 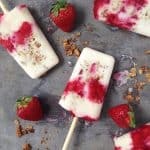 For hot mornings, these Yogurt Parfait Breakfast Popsicles are so fun. 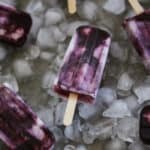 Last summer, Chris and I shot our first video together, of these Swirled Blueberry Yogurt Popsicles, and we are SO making them again. (It was so fun to make a new popsicle video together, too — scroll down to watch! And I’m adding a new one into the mix this year. 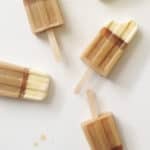 I decided to do Popsicle Week right with a batch of boozy Prosecco Popsicles. 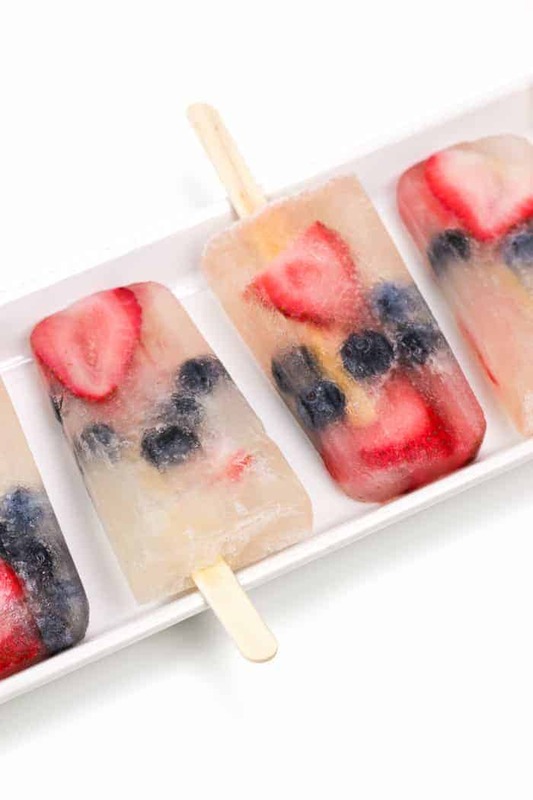 Frozen bubbly is going to be your new favorite way to cool down this summer. 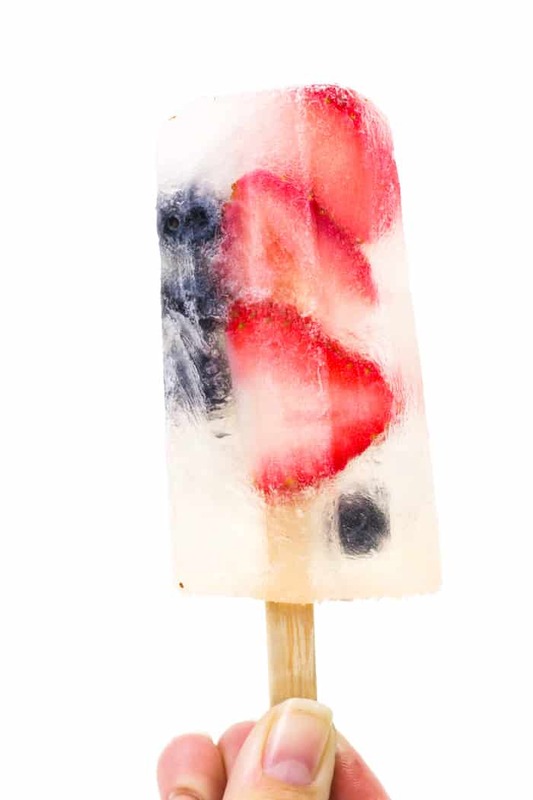 You can use any fruit, really, but I tossed in blueberries and strawberries for a red, white and blue twist. I am so pleased with how these turned out! The prosecco base combines bubbly and a super small batch of homemade lemonade for a little extra flavor and sweetness. Learn how to choose a sparkling wine. Overall, though, these babies are light and delicious, and I recommend munching on them while you watch fireworks on Tuesday. July 4 has always been one of my favorite holidays. I love that it’s for everyone in America, and that we can come together over loving our country — however we choose to love it. It’s a beautiful thing. 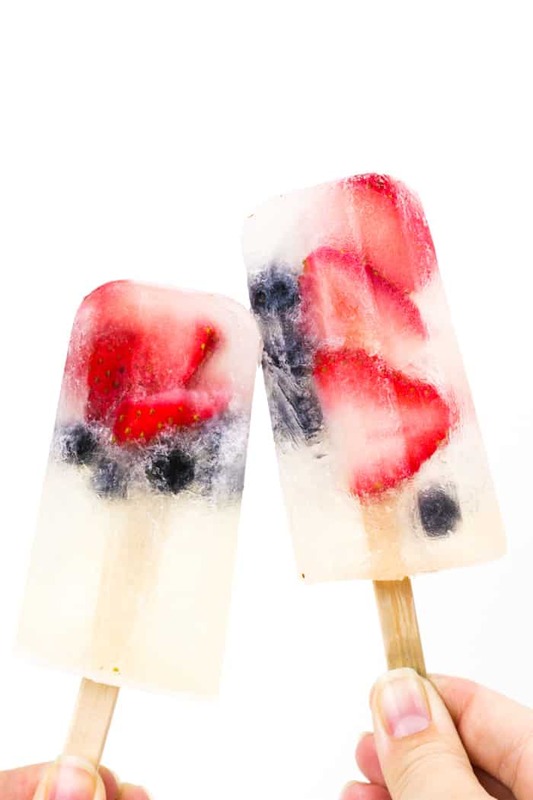 I’m looking forward to celebrating all of that love with my favorite Berry Cream Pie and a batch of Red, White + Blue Mojitos, and these Prosecco Popsicles of course! 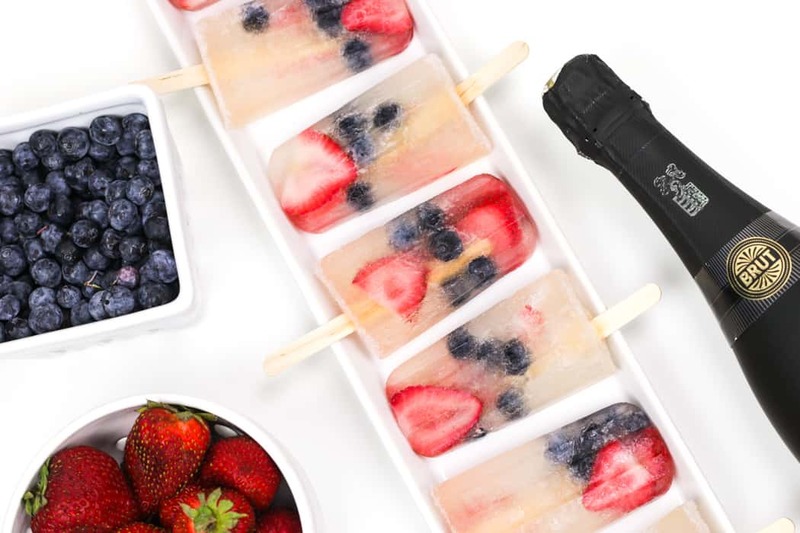 Pin this Prosecco Popsicle recipe for later! Watch the Prosecco Popsicle video below! 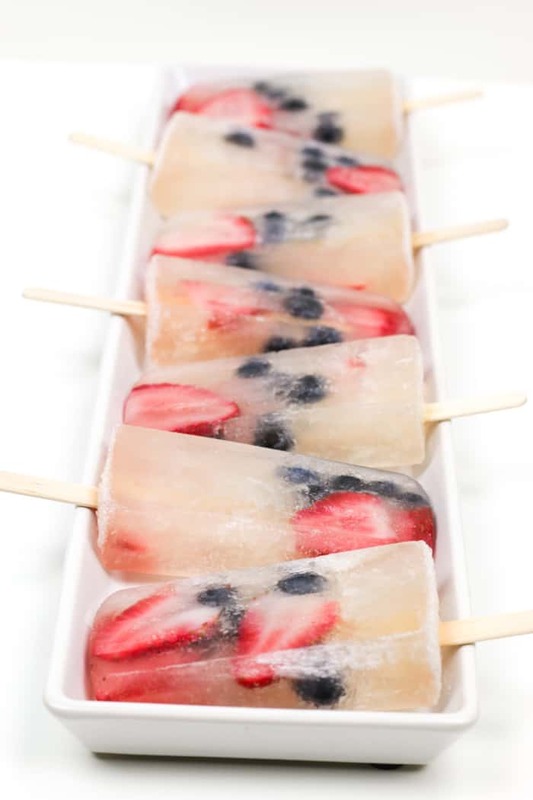 A summertime treat, these patriotic Prosecco Popsicles feature fresh fruit and all the flavor of fizzy champagne. In a medium bowl, combine lemon juice, sugar and water. Stir until sugar dissolves. 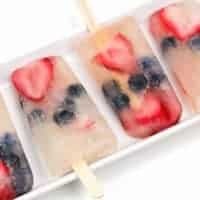 In a popsicle mold, add 3-5 strawberry slices and 5-6 blueberries to each cavity. Fill each cavity 3/4 full with prosecco. Fill to the top with lemonade. Cover and add popsicle sticks. Freeze 4-6 hours, until frozen solid. Yeah, I’m going to need an entire batch of these beauties. Like, immediately. I love ’em so much! Thank you so much! I love them too. They are all gone, sadly!